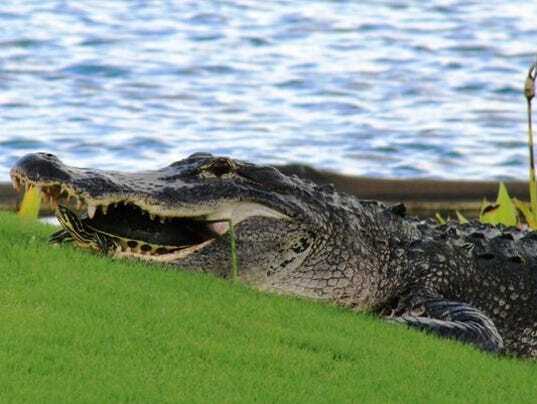 Despite being an apex predator, one unlucky Alligator learned there are things scarier than him, like a golf cart. The gator's plan for a nice meal was all set in motion when the turtle found itself surrounded by the alligator's teeth. The turtle remained incarcerated by the alligator's gaping mouth until a golf cart scooted close enough to scare the gator back into the lake, Backman says. To read the full article, visit USAToday.